Crash diets and fast weight loss is not the right way to lose weight. Did you know that healthy weight loss means only losing about two to three pounds a week? If you are overweight, then this figure might increase a whole lot more, but if you’re someone that’s looking to lose only a few pounds, you need to stay around that range. Losing more than three pounds a week means that your body will be shedding muscle – and you definitely do not want to do this. That’s because it is very hard to gain back muscle mass, and your muscle helps burn a lot of fat. Muscle tissue requires more energy and it helps keep your metabolism up. 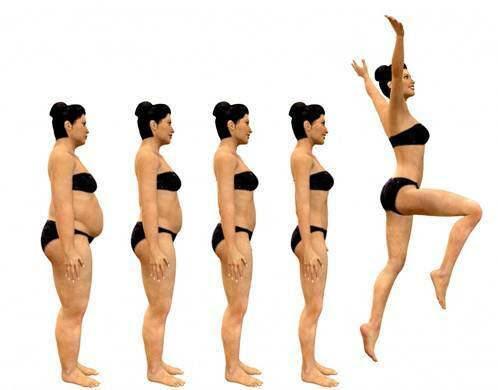 Losing too much weight too fast means that your metabolism would drop as well. That amounts to pounds lost at the cost of your metabolism. It means that you can put those pounds back on as fast as you can lose them. Do it the right way by proper diet and exercise. The two to three pound range of weight loss per week is healthy since your body and your metabolism will be able to adjust accordingly. So if you’re planning to lose weight for your friend’s wedding, make your plan in advance so you wouldn’t give your body a shock. Another advantage of doing this is that you would look much healthier when you lose weight. Your skin would be firmer, and you would feel a lot better too.